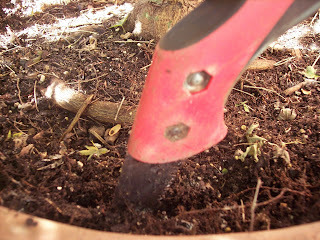 Have ready the replacement mix: 1/2 potting soil with 1/2 compost/-- combine well. Add the mixture --gently pressing in with fingertips to fill the planter. Be gentle but firm. You want to make sure there are no air pockets but after you add the water mixture you will be able to see where you will need to add more soil. 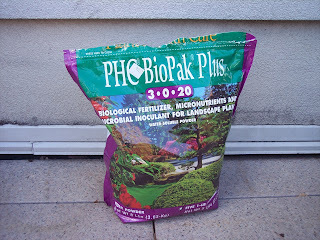 In the bottom of your 5-gallon bucket add 6 tablespoons of the PHC Biopak powder. Add water/mix thoroughly. Water with this solution -- slowly -- allowing the solution to drain thru. Add more soil mixture if needed -- water with solution again. The soil should be completely drenched. Mulch -- 1-2" depth. Do not put mulch against the trunk of the tree. Leave at least three inches around the perimeter. 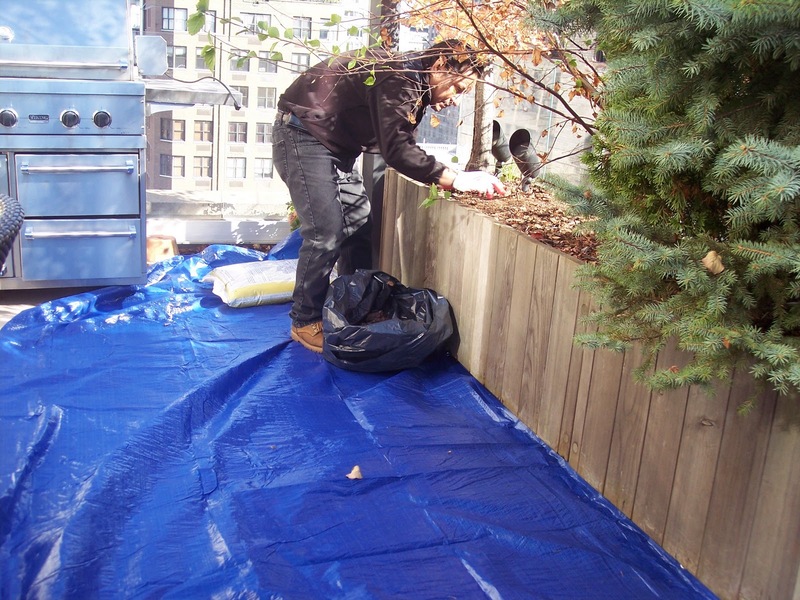 Do not let the planter dry out. 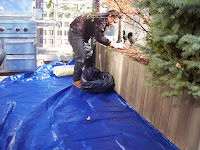 Repeat solution treatment every two weeks until the soil freezes. Repeat solution treatment in spring as soon as the planter thaws. 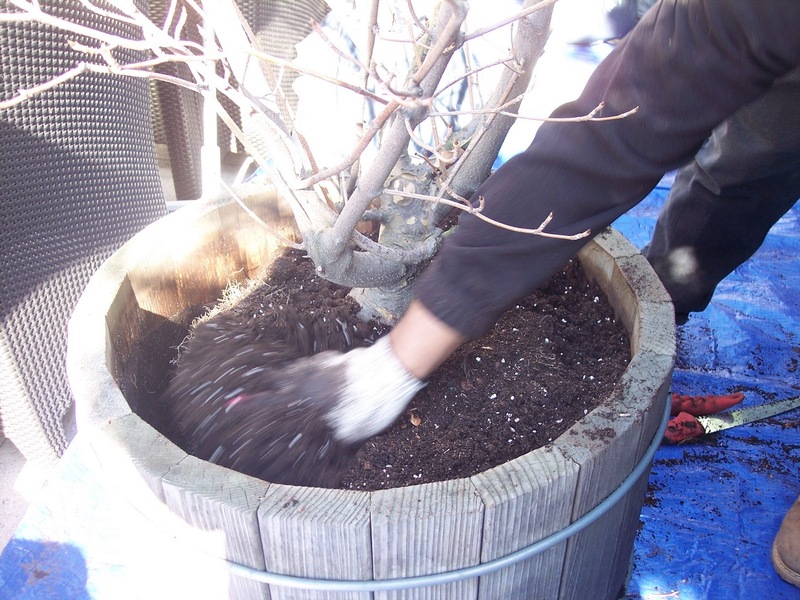 **For this reason it is recommended that you plant trees and shrubs in planters that are at least 24" high -- but more importantly -- ones that are nice and wide to accomodate the lateral root development. The depth of the planter is not nearly as important as the width. As you remove the dead materail along the perimeter -- if you come to a large root -- over 1/2" or more in diameter -- don't remove; go around it. Do not prune the crown/top of the tree at this point. 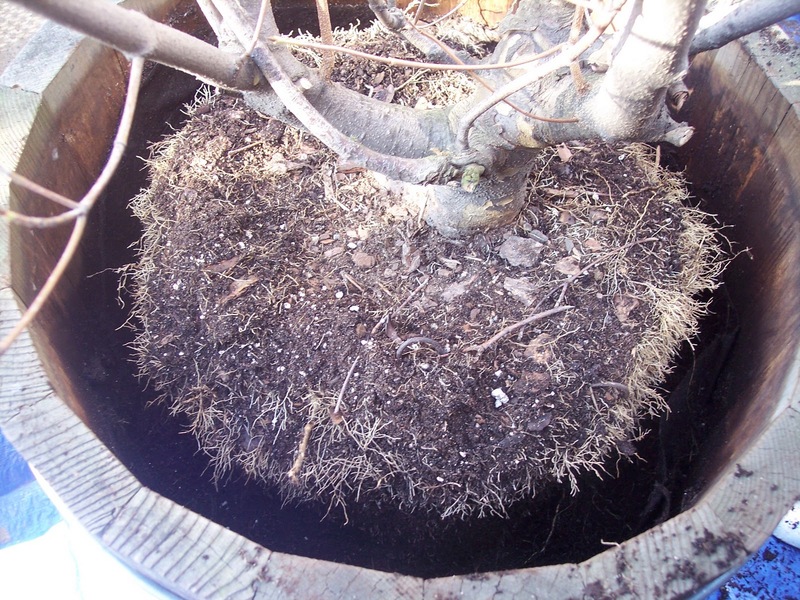 If you are doing the root pruning in fall -- wait until the tree is leafed out and then prune. "Trenching Shovel" and "Soil Knife"